There have been a lot of rumours about the upcoming iPhone 5S, especially since it’s expected to be launched in early September. Further suggestions have pointed to multiple colours being offered not only in the budget iPhone 5C, but more premium aluminium based offerings for the iPhone 5S. The latest news surrounding this is the discovering and confirmation that Apple are preparing a gold or champagne coloured iPhone 5S, and sources in the know have managed to confirm the speculation. When it comes to Apple rumours, the source from TechCrunch is usually spot on. It won’t be blinged-out though, it will be more of a champagne colour than gold, and will shift colour depending on how the light is hitting it. 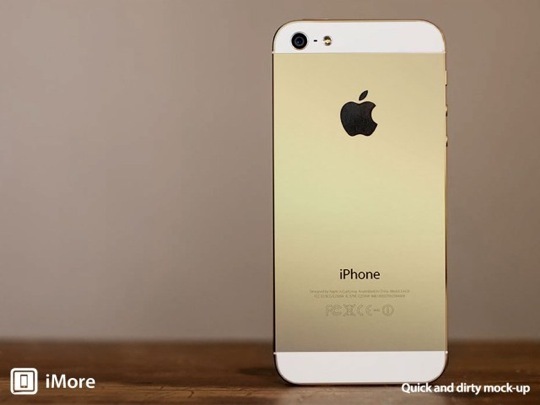 So it appears almost certain that the iPhone 5S will infact come in a gold colour – perhaps a further distinguishing feature to make it stand out over the other colours the iPhone 5C will be offered in. What are your thoughts on a gold iPhone? Does it just make it look like a cheap knock-off, or does it add an element of class to the device? Let us know in the comments section below.